We’ve been busy beavers the past couple of months at Erik G. Warner Decorative Salvage, but not with furniture restoration. Instead, we have been expanding our shop space so that Erik can work on more than one piece at a time. Within our turquoise and white pole shed, we had one kinda smallish heated and finished room for the entire refinishing process, from cleaning and stripping through to the spray finishing. It meant that the dust and dirt from early in the process was difficult to keep from contaminating the later part of the process, even though Erik somehow managed. The rest of the space in the pole shed was basically cold storage. We knew we needed to make the workshop space bigger, but we had to decide how much bigger. We also had to make sure we could make it weather tight and keep it heated. 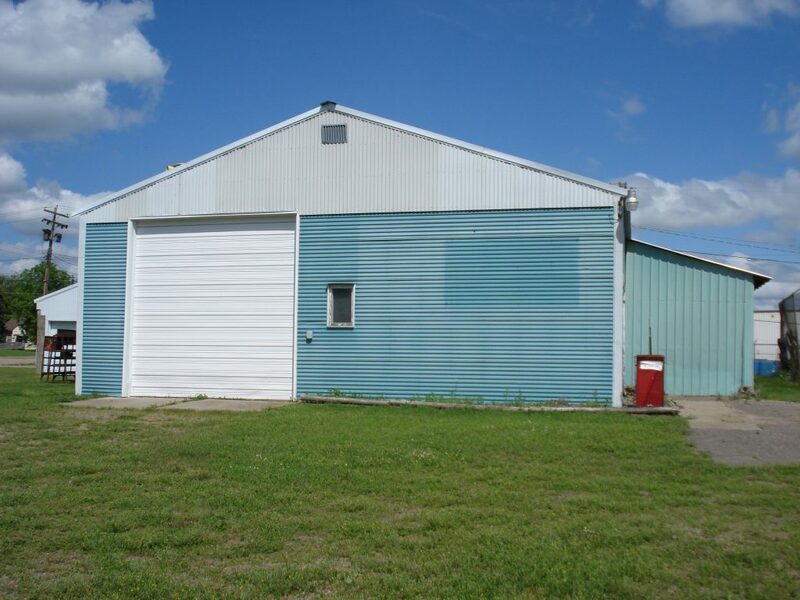 The cold of Minnesota winters invades pole sheds with concrete floors, making them feel even colder than it is outside. We hired a contractor in the summer of 2017 to help us frame in the space where the giant garage door was, which included installing a window (salvaged by Erik for free!) and door. Once we decided on the size of the new shop, we then had to frame the space inside, including creating a ceiling for the shop within the pole shed. This happened last fall (2018) Basically, we created a box within a box right next to the existing shop. Garage door on the west side of our pole shed workshop, Erik G. Warner Decorative Salvage, June 2015. 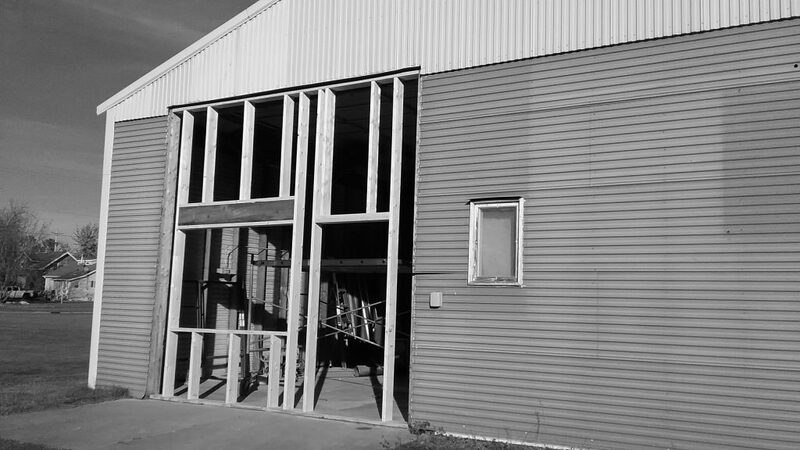 Exterior framing on Erik G. Warner Decorative Salvage’s workshop, October 2017. 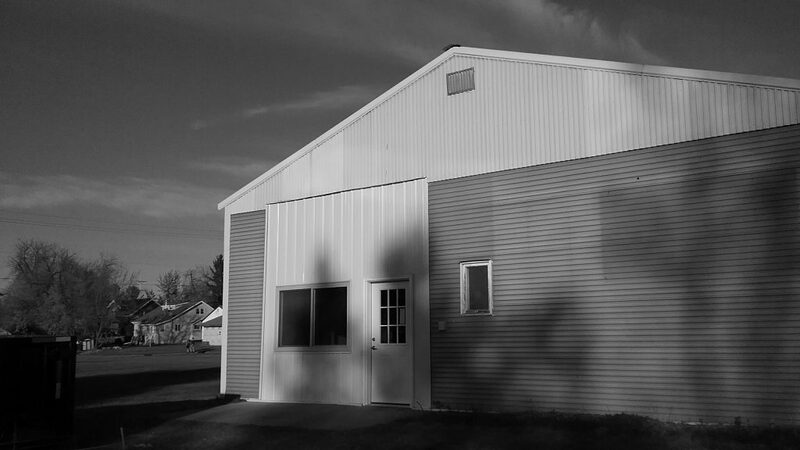 West exterior of Erik G. Warner Decorative Salvage workshop complete, October 2017. 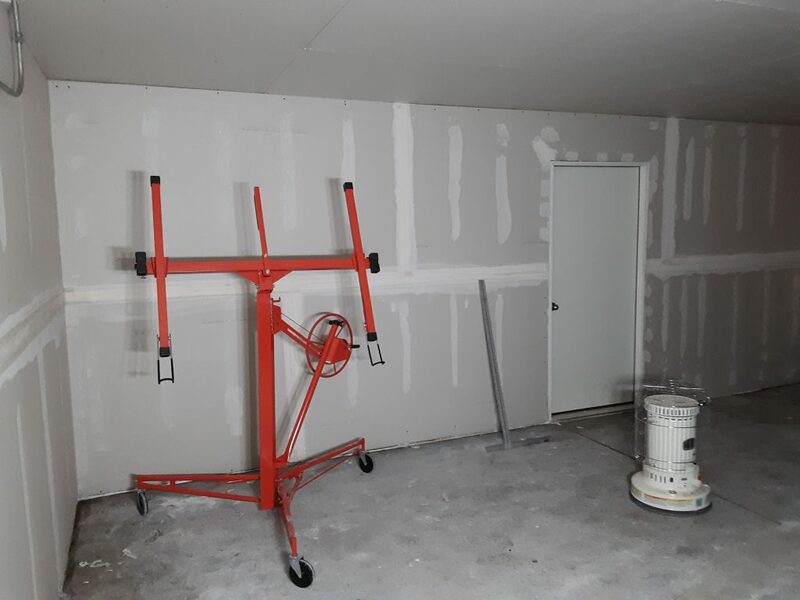 After the framing was complete, we had to use spray foam and other sealants to keep the elements out, insulate, install vapor barrier, hang sheetrock, prime and paint. What has taken a sentence to say actually took us 2-3 months to do. 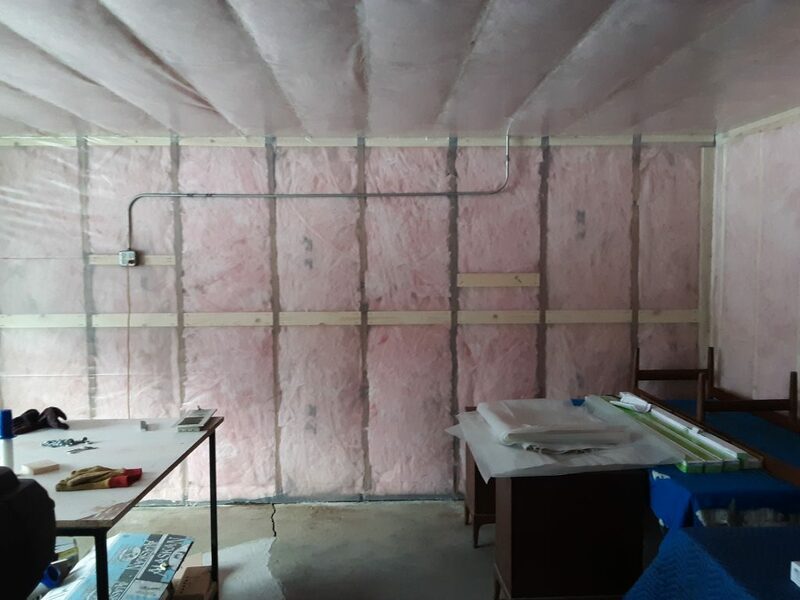 Insulation and vapor barrier hung in new shop space at Erik G. Warner Decorative Salvage, November 2018. Hanging sheetrock at the Erik G. Warner Decorative Salvage workshop, December 2018. The sheetrock lift was an absolute necessity. We would not have survived this job without it. Then we had to call the gas company to have the gas meter reinstalled. The pole shed had an old gas furnace, but it was so long ago that the gas company had no record of gas installation on the property. We had the external fittings still on the exterior of the building to show that, yes, indeed, gas had once run to the building. 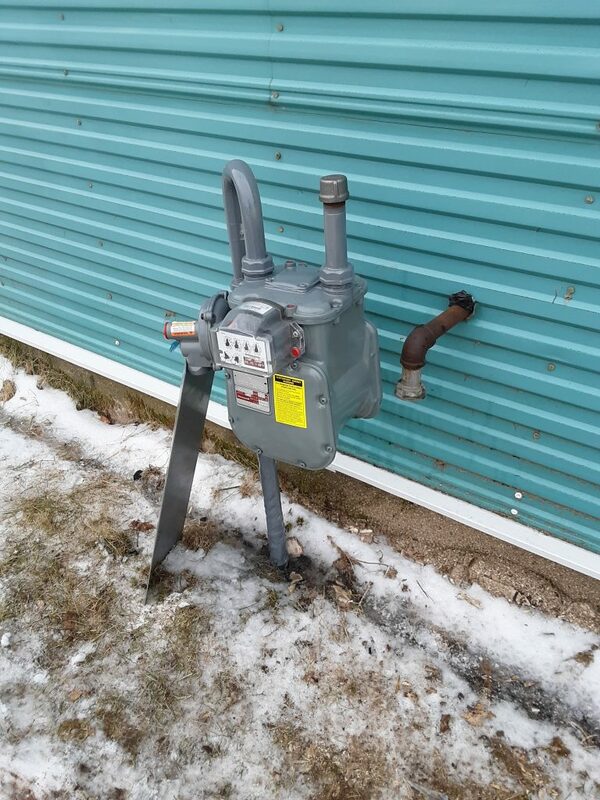 The gas meter reinstalled, December 2018. Following this, we had an electrician come do the wiring we needed for the furnace and outlets. And, finally, we had the furnace installed. 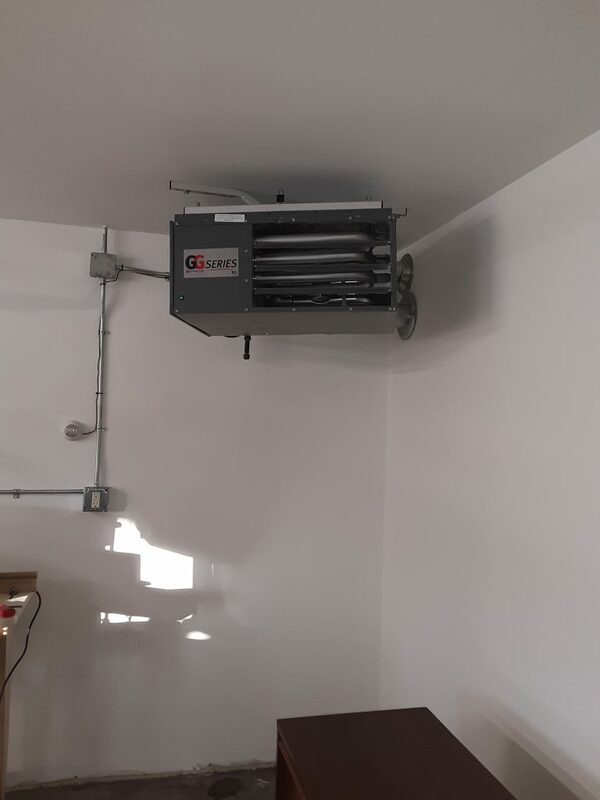 The new furnace and some of the wiring installed in Erik G. Warner Decorative Salvage’s workshop, January 2019. These operations by outside contractors took up the past month or so in terms of scheduling. Because it is now January in Minnesota, we’ve been managing this work in the cold, using a trusty kerosene heater to make the temperature in the new workshop tolerable (pleasant, even!). 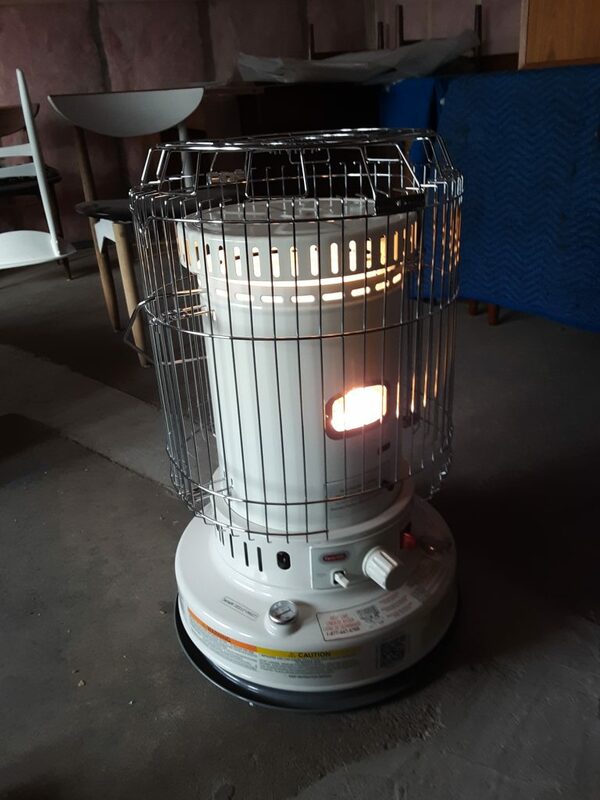 Our trusty kerosene heater that got us through the build-out, November 2018. If you are going to use a kerosene heater indoors, be sure to open a window so the fresh air can clear any carbon monoxide that builds up. Because the entire shop has been in disarray, with us shifting furniture and equipment around in order to do the shop build-out, we have not been able to do much furniture refinishing. We are happy to report that we’re back to furniture, with Erik finishing restoration of a Lane Rhythm dresser today. We’ll discuss that in our next post. Erik G. Warner Decorative Salvage offers refurbished furniture directly to customers and at MidModMen+friends, a retail location located in St. Paul, MN, that specializes in mid-century furniture and decor. For inquiries regarding specific items you are searching for, please call us at 320-630-4697.